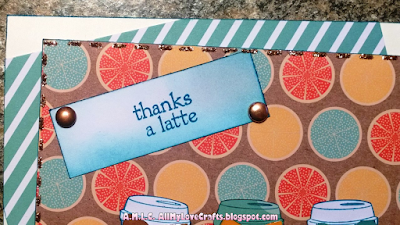 Next card for this years Summer Coffee Lovers Blog Hop! 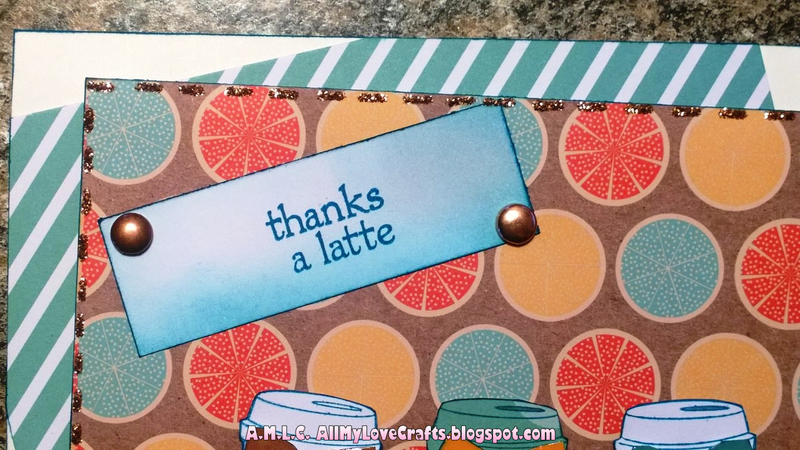 The latte cup and quote are both from Fiskars Latte Love stamp set. I stamped them using Staz On teal blue ink. The bow ties were cut from a piece of paper in this same paper pad. All the paper, including the cute little bow ties, are from Craft Smith's "Sweet Soiree" paper pad found at Michael's. Glossy accents were used on the bow ties and copper Stickles to make the small dash marks around the border. Sweet card...love your trio of cups! This is so cool! Love your coffee cups. Adorable card! Cute BG paper. Great summer colors on your pretty card! The coffee cups are the bomb@! This is SO cute!! Love how you put gloss on the bows. Love your trio of cups!! Great bow ties too! So cute!! Coffee bow ties.. adorable! Those little bows are so cute. Sweet card. Great card, Annie, love the background paper! Happy hopping and Enjoy your summer! Love your background, fun card. 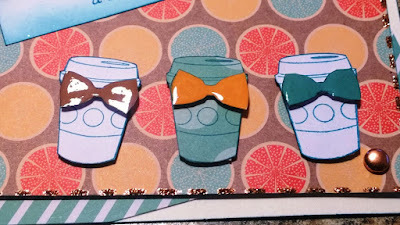 Love the tiny bows on trio of coffee cups! Annie, this is so cute! Love the added bows! Wow! great card! love it! Such a fun citrus background! 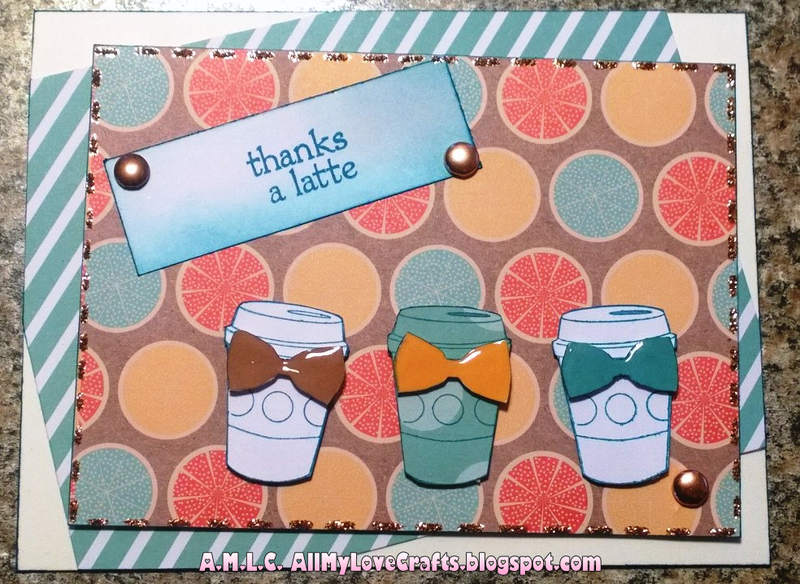 Love the colors of this card and great layers and fun cups! What a cute and lovely card.